Well today, the ‘all-weather’ photographer’s assistant is not so ‘all-weather’, rather ‘under- the-weather’, I’ve managed to get a head cold from somewhere so I’m sneezing and using tissues as though they are going out of fashion! 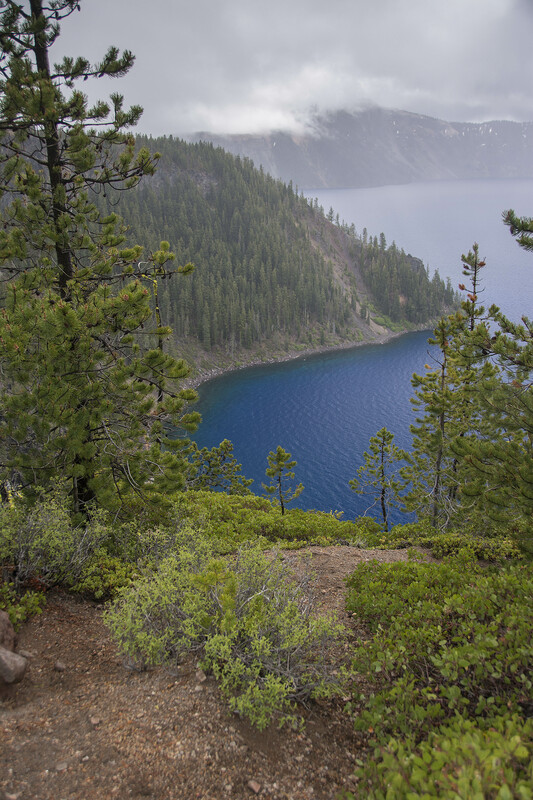 When we woke up this morning and it was cloudy but dry we had a little hope that it would be dry up at Crater Lake and we would be able to get good views and Si some good photos. 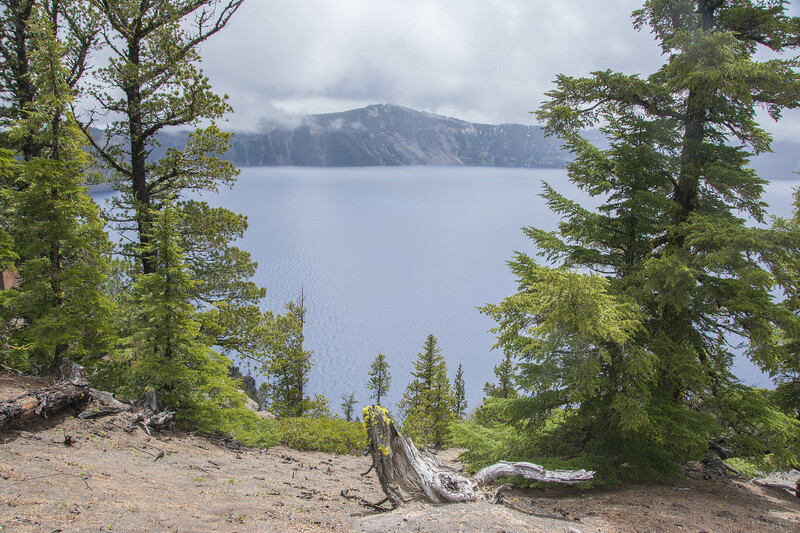 Crater Lake is the deepest lake in the U.S. and is fed only by rain and snow (but no rivers or streams) and so is considered to be the cleanest large body of water in the world! The water is exceptional for its clarity and intense blue colour. The lake rests inside a caldera (a caldera is a cauldron-like volcanic feature usually formed by the collapse of land following a volcanic eruption) formed approximately 7,700 years ago when a 12,000-foot-tall (3,600 meters) volcano collapsed following a major eruption. The eruption may have been the largest in North America in the past 640,000 years! Alas, when we arrived it was raining. To view the Lake you drive either via the west or east rim drives and we decided to start on the west side. Good job we did because by the time we came to end of the first half of the drive on the west side the east side drive had been closed off due to the bad weather. 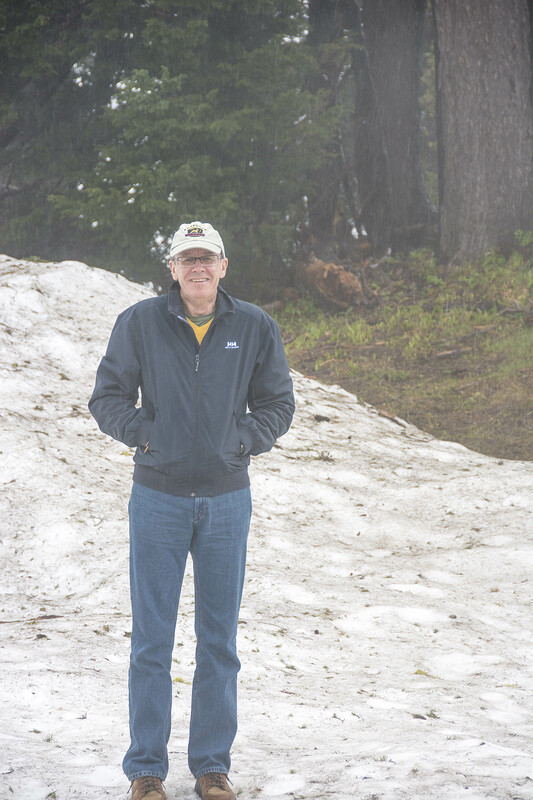 As we progressed around the west drive climbing to elevations above 8,000 feet the weather became appalling. We couldn’t see the lake as it was covered in a rolling mist and the rain was pouring down and it was difficult to even see the road which at time was rather hairy as there are no barriers to protect drivers from going off the edge. We sat for a while in the hope that it would clear but when it didn’t we headed down again. However, by the time we reached the bottom the sun had appeared and Si was able to grab a few photos of the lake. Sadly, the blue of the water was not evident all over but just in certain areas. Crater Lake rim today with snow! One thing that surprised us as well was the amount of snow from the bottom to the top of the Lake. 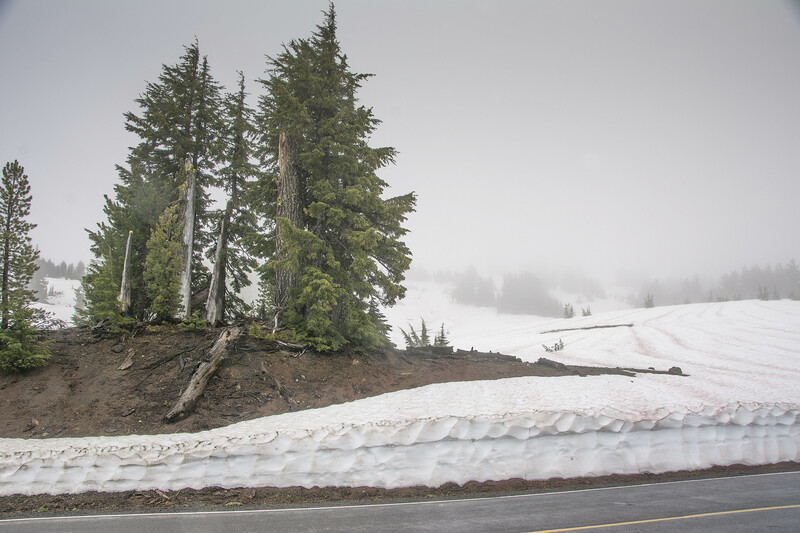 They have an annual snowfall of 43.5 feet (13.2 meters) and start to clear the snow in April ready for the 500,00 visitors that come every year. The lake last froze over in 1949. It would have been a very beautiful place to see if the sun had been shining so we’ll just have to mark it down for another visit in the future. 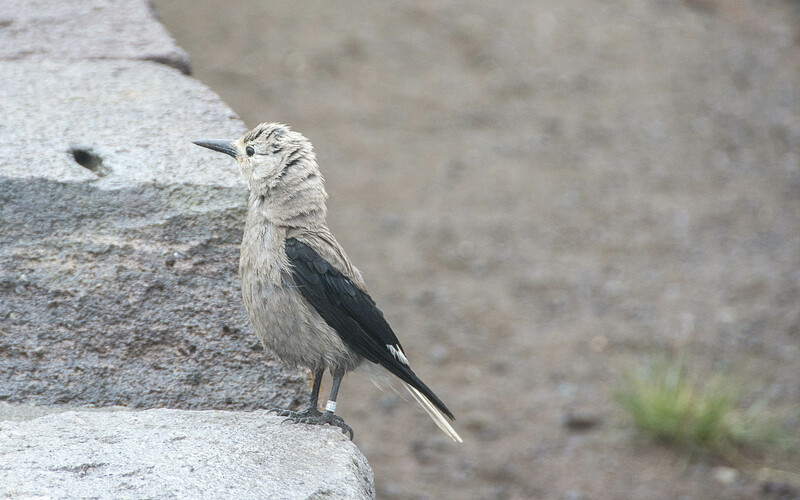 We didn’t see much wildlife today but did see the two birds below, mummy and baby. 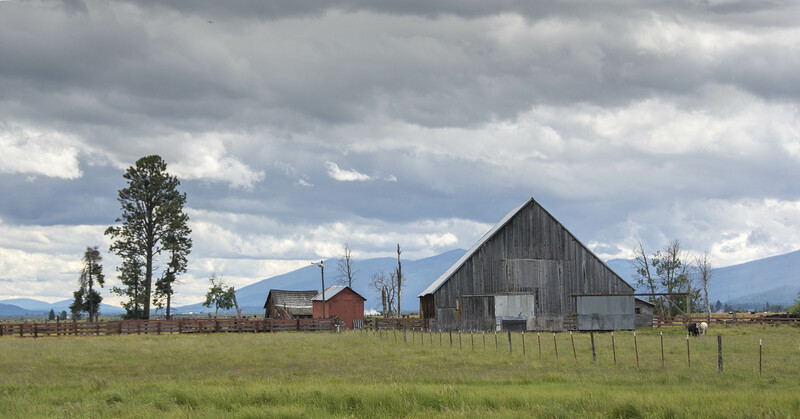 Also below, are another couple of photos we took on the drive back today. Oh, and before I forget …………… Si had his wish come true today and he saw a bear! “At last” I hear you say! Well, here’s the photographic proof!! Ha, ha, ha. I bought it for him in the gift shop at Crater Lake. A big change in the weather then!! What intrigues me is how you know all the information about the places you have visited. 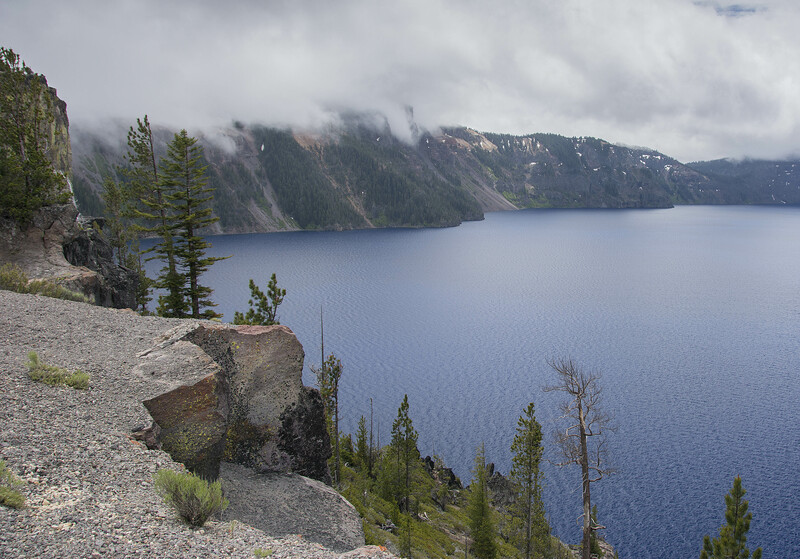 Did you know about Crater Lake before you visited it? Do you research the place beforehand and then go or find out about it when you are there? You must have done loads of research before you went !! Don’t think I have made myself very clear here!! 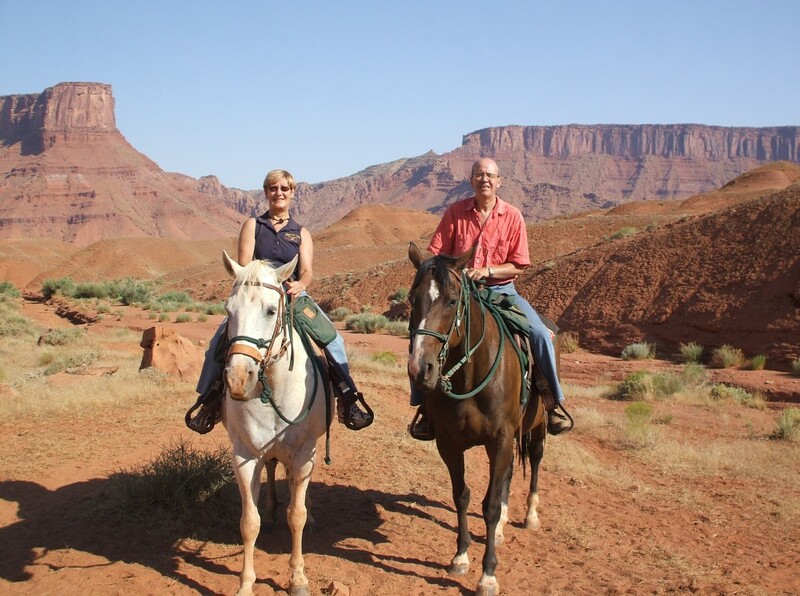 Hi Ann, before we came away Si researched all the National Parks and other places we might like to visit so we knew roughly where we were going and what we would be seeing before we left. When we go into the National Parks they give you a map and a little newspaper with tons and tons of info on about what’s there, what to do etc so that’s a handy source of info for when I write the blog. Otherwise I go to Wiki and that helps. 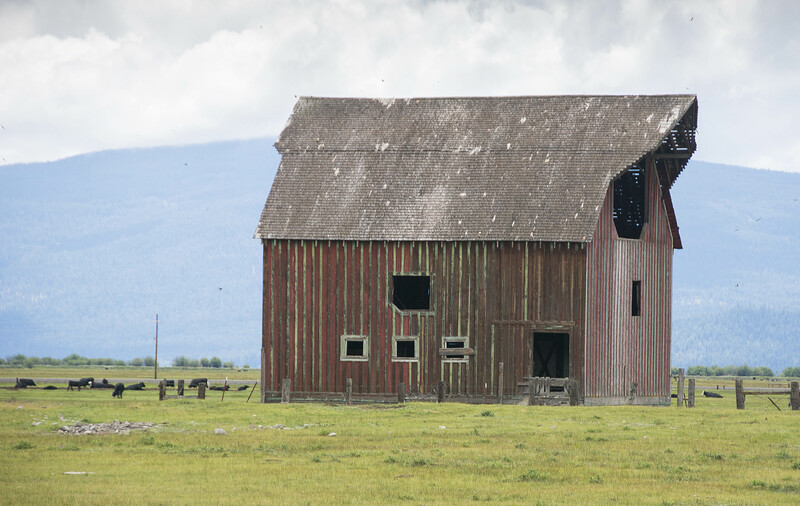 Hey Si…now that is a barn! Brrrr, snow in June. That is just insane! Even the poor birdie looks cold. It is beautiful country there, even the scary roads. 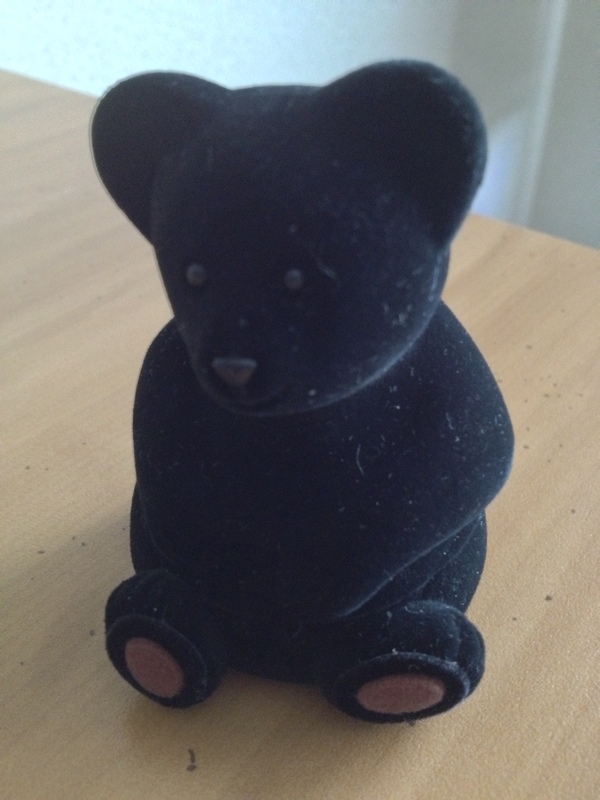 I love your bear Si…he looks friendly enough. 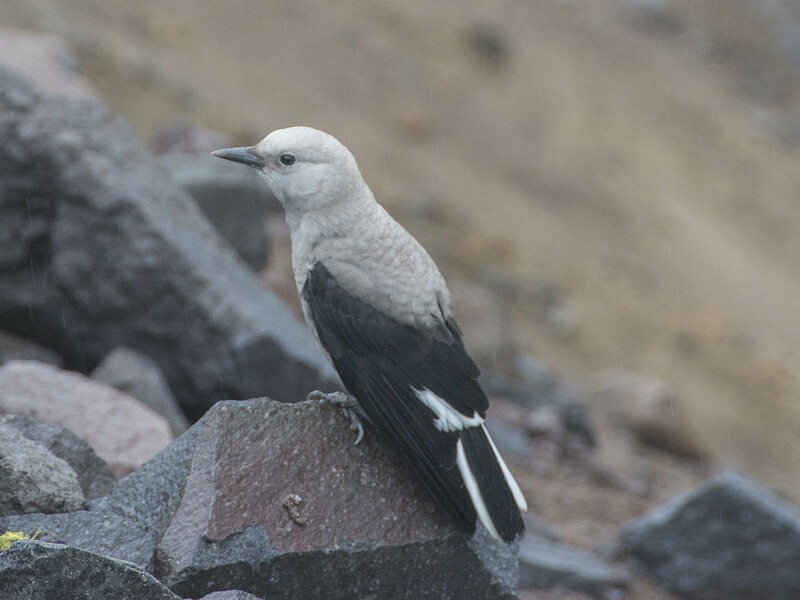 What’s his/her name? Hey Dot, yes I guess that snow must stay there all year!! Si’s decided to name his bear Bruno!